WILMINGTON, NC (WECT) - A bill to protect the very pets we love just can't seem to make its way to the governor's desk. Supporters were in Wilmington Thursday night raising awareness for puppy mills. House bill 159 would establish standards of care for dog breeder.and ensure that dogs are treated humanely. North Carolina has no laws regulating breeding operations, unless they sell to research labs or pet stores. "If you're an ethical breeder, we don't have any problem with you at all," Karen Loveless with NC Voters for Animal Welfare said. "But as a person who's been in many puppy mill busts and has seen the conditions of these animals, it is horrendous. And what they are doing does not make any breeder look good. It's bad for anybody. So, basically we're just trying to get standard care passed for the dogs; I don't think that's asking too much." 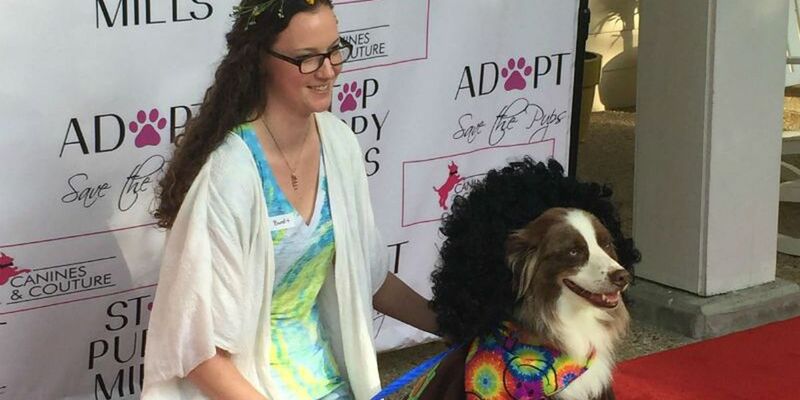 In their fight for legislation, supporters held a fashion show featuring puppy mill survivors. They also promote pet adoptions, a number of the dogs on stage were looking for their "furever" homes. "I think what's resonated with everyone is that it seems so simple, and, like my dog Scarlett O'hara that's from a puppy mill, we thought this was being taken care of," Bridgette Rowley, the founder of Canines and Couture, said. "When we found out there weren't any laws in place to stop puppy mills, then I think once everyone found that out, everyone's upset about it." More than half of the states in the U.S. have some sort of legislation on the books regulating commercial breeders.